But when a body is discovered, they realize that the greatest threat to their survival may be trapped in The Sanctum with them. “S.L. Grey” is the critically-acclaimed writing partnership between Sarah Lotz and Louis Greenberg. I haven’t read their previous novel, The Mall, which received rave reviews. This latest novel is a (perhaps oxymoronically) fast-paced slow-burn thriller. A relatively slim novel (under 300 pages), after the cast are gathered at the Sanctum, things quickly spiral out of control, and all hell breaks loose. 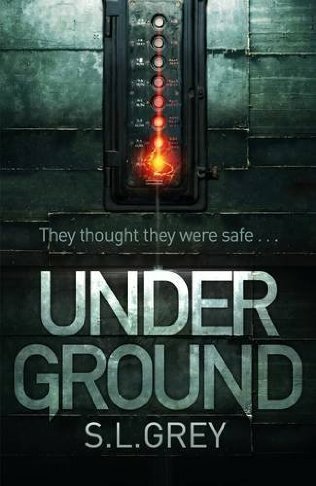 I wasn’t sure what to expect from Under Ground, but I knew from past experience with Lotz’s writing that it would at least be very good. I wasn’t disappointed — this is a gripping, briskly-paced novel of psychological suspense and the fragility of social norms. Grey’s prose is superb, stripped down and briskly-paced, it keeps the novel moving forward. The chapters rotate POV through a handful of the characters, and the authors do a great job of giving each their own distinctive voice and perspective on events. I didn’t sympathize with all of them, but I nevertheless enjoyed reading about events through their eyes. I also thought it was interesting the way the chapters reflected the characters desperation and mental states as the novel progresses. Sometimes this can feel a little muddled, but it didn’t detract from my enjoyment of the story. We get a fascinating look at the way extreme situations and pressures can affect people in different ways: paranoia, isolation, calculation, tribalism, and so forth. There’s a lot going on in the novel, and Grey leaves much of it for the reader to analyze and dissect (I really liked this — the novel is blissfully spare on exposition). I think it’s possible that the suspense could have been ratcheted up a bit more if the novel had been just a bit longer. A few extra chapters could have helped us get to know some of the characters a bit better, and increase the tension. But it’s pretty damn good the way it is — the collapse in relations between the characters happens fast, and as supplies dwindle and more strange goings-on occur, things get really interesting and tense. There are some elements to the story that might make people think they know exactly what is going to happen, but I think Grey’s done a great job of throwing in a few surprises to keep readers guessing and on their toes. What lifts this novel above others in the sub-genre, though, are the final two chapters. Rarely has “realization dawned” while reading a late chapter, but the penultimate chapter was fantastically composed; followed by an open-ended final chapter that was equally excellent, this was a startling, superb ending. I didn’t figure it out at all, until about two pages before the reveal (which was I think, the authors’ intention). Quite excellent. 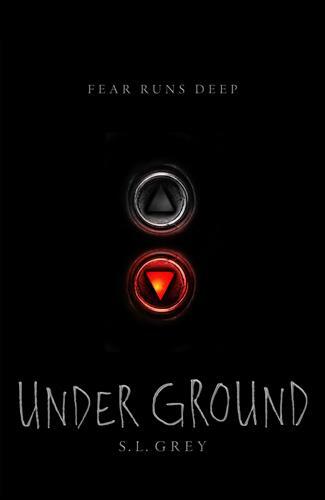 If you like psychological thrillers, then I highly recommend this novel. A must read of 2015.